We happen to know Carolina Carrasco, Founder of The Treasures, via DestinationBCN, as the boutique apartment rental company collaborates with locals to enhance the stay of their guests. It's fair to say that Carolina has evolved somewhat from, initially doing corporate events for clients in the southern part of Spain, before launching one of the first bespoke walking tours in Barcelona and refocusing on creating special moments for visitors seeking a more bespoke travel experience. She has always kept her “events hat” on and has recently taken on gigs for clients in other parts of Europe. We believe it’s her personable, fun and likeable nature that has attributed to her success. Read on to find out more in our brief interview. How did you get started in custom event planning? My background is corporate events, but I have always loved travelling, so after taking a little break back in 2009, I moved to Barcelona and decided to make events closer to my heart and share with the travellers what I would love to see if I was travelling to a city. How does your business differ today from say, 5 years ago? The travelling concept has changed since everyone nowadays has better access to jump on a plane and discover a new city. We still have what you might call "quality travellers" but less than 5 years ago. Does your job as an event planner take you to any nice places? Lots! I feel lucky as I get to go to nice restaurants, venues, luxury hotels and to meet amazing people. One particular special moment for me was staying at the Abama Resort in Tenerife and watching the sunset. You can actually see the neighbouring islands from the hotel, which makes you feel quite spoilt. If visiting Tenerife, you must take a day trip to El Teide, the landscape is mindblowing. It is so volcanic it feels like you are walking on the moon. El Teide, a beautiful mountainous landscape in Tenerife, Spain. Mallorca is another destination that I think is really lovely. Sure its quite well-known for sheer wealth and 5-star hotels but the island also has some really special places. Hotel Ca's Xorc up in the mountains of Soller in Mallorca is just incredible. I have a real soft spot for the Balearic Islands in general...they have a special energy. The beautiful beaches, blue sea and green surroundings are breathtaking. The islands also have great venues, making them the perfect place for celebrating birthdays, weddings and other special occasions. Ca’s Xorc, an impressive hilltop hotel located in Soller, Mallorca. What would you suggest as a romantic experience? Easy, Hotel Aire de Bardenas! It looks like a bubble of love to me! A stay there is simply you alone with the sky and the stars. It is such a unique place and is just like living in a real bubble. There really isn’t anything quite like it. 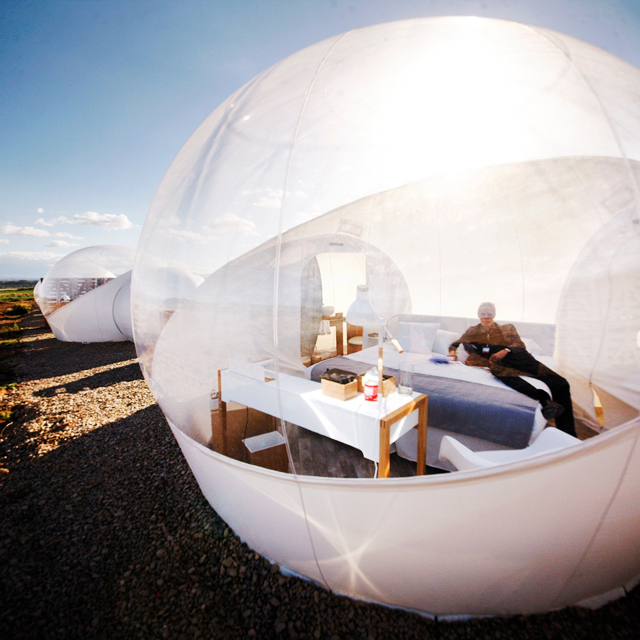 The bubble room at Hotel Aire de Bardenas in Navarra, Spain. What event are you most proud of? Wow, I guess the last one I did for Asics... with only 3 weeks and opening new destinations and locations, Berlin, Paris and London. We provided gastronomy routes in each city. We received amazing feedback from clients about the locations and overall organisation, so I'm very pleased! 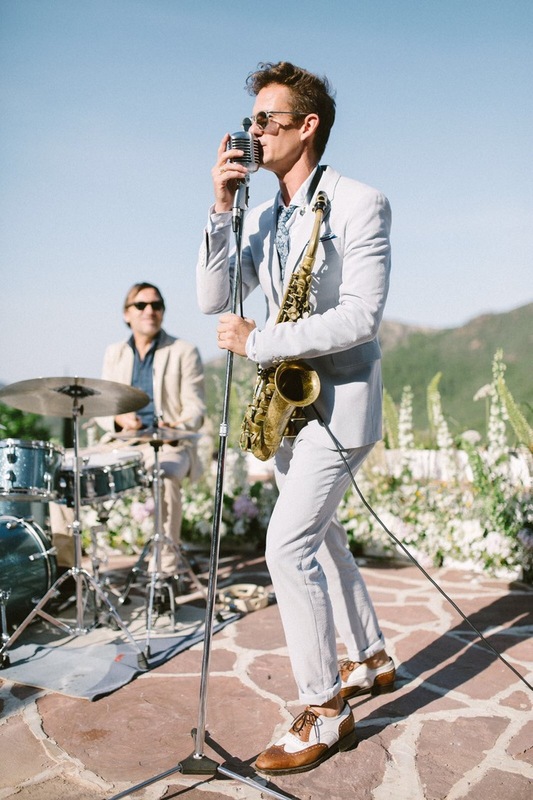 Also, my husband is a musician and his band, The Summer Lovers, has played at some of my events at beautiful hotels in Spain and private events and weddings. It has been great! Rhys performing with band The Summer Lovers. You spent several years in Barcelona before moving to live outside the city along the coast. What is your favourite thing to do when you are in the city for a day? I love living outside the city but I love coming to the city, drinking good coffee in Nomad, riding my bike around the city and discovering new places that have opened. 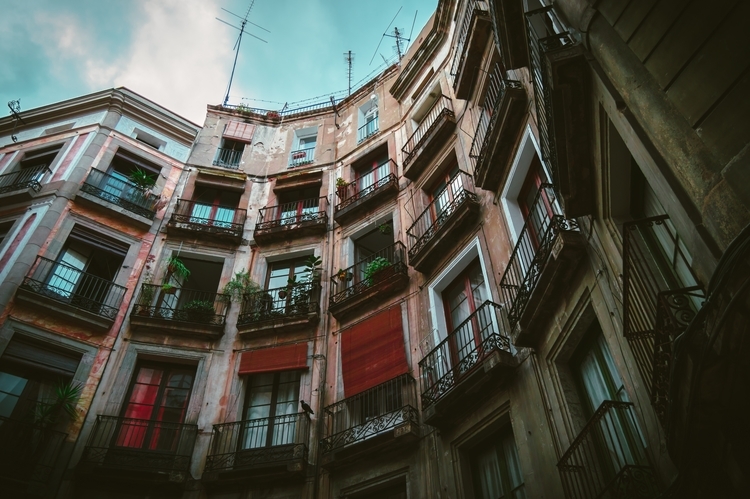 When I was living in Barcelona city I wasn't that aware of all the activity, as it's easy to get saturated of the everyday views... but as soon as you leave you start to appreciate again the architecture, the interiors and the streets in the old town. Balconies on a dark residential street in the Gothic Quarter. I recommend an aperitif at El Xampanyet before taking a stroll through the Gothic Quarter and later in the afternoon heading to the One Ocean Club to have a glass of wine in Port Vell. They're definitely a few of my favourite places I like to visit when in town. Are there any places you can recommend outside of Barcelona, for those wanting to explore Catalunya further? Empordà is amazing! 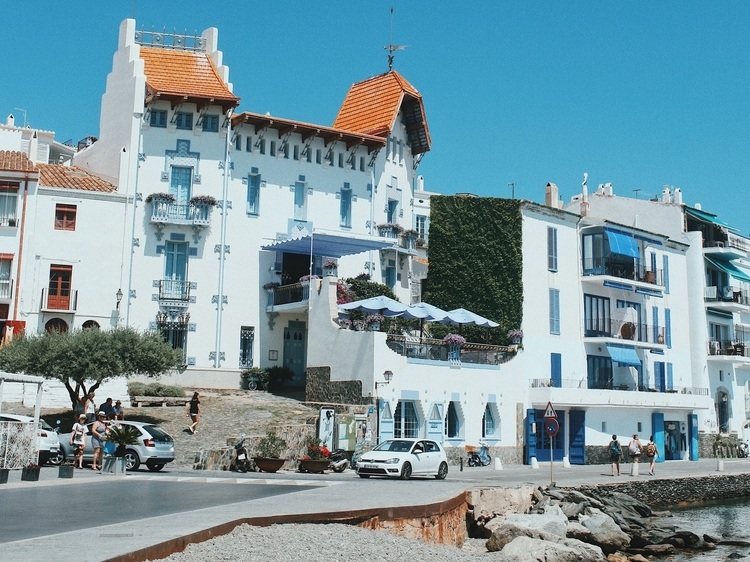 Then there’s the wineries, the beaches around Costa Brava and the antique markets. One of my favourite things to do when I'm in Empordà is to check out La Ultima Parada. They not only have the best vintage and classic furnitue and design items to buy but they also have an amazing restaurant that prepares delicious classic Spanish cuisine. Anything new or exciting coming up this year for you and your team at The Treasures? Every year is different, but now that we have opened the gate to international projects, why not keep exploring that option.